Western world of today there are other problems in the environment that affect nursing care. By using the metaphor room, we scrutinize our environment, from the philosophical level to the interactions between care seeking persons and the professionals. 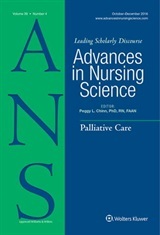 We hope that the paper will contribute to the existing literature on equality in nursing.